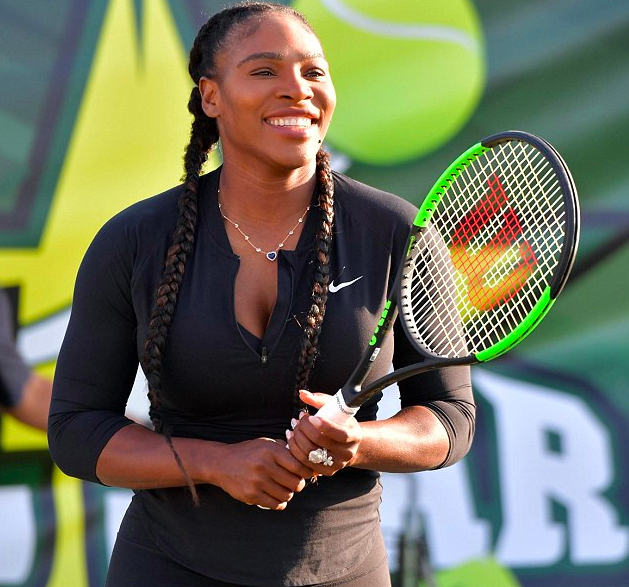 Serena Williams returned to tennis court by taking part in a charity event to benefit autism in Key Biscayne, reports Daily Mail. 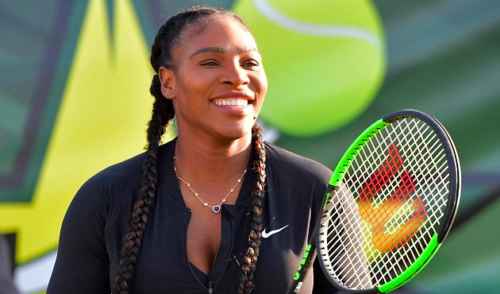 The 23-time Grand Slam champion recently made her comeback after welcoming her first child – a baby girl – with her husband Alexis Ohanian. Williams, however, looked in good shape as she showed off her tennis skills for a bit. Apart from that, there was something else that caught the attention too: her wedding ring. The 36-year-old flaunted her huge marriage token as well as a necklace besides wearing a big smile on her face. Williams played her first tournament in Indian Wells last week, since her Australian Open triumph in January 2017. Her run, however, ended earlier than expected as she went down to her elder sister Venus in the third round. The American will look to put her best foot forward when she partakes at this week’s Miami Open. She, however, has a dangerous first-round opponent in Japan’s Naomi Osaka, who emerged as the surprise winner at Indian Wells.